B.C., Jan. 18, 2016 /CNW/ – The War Amps begins its 2016 key tag mailing to B.C. residents this week with the theme "Key Tags at Work," marking the 70th anniversary of the Association's Key Tag Service. In the letter accompanying the key tags, a mother, describes how The War Amps has provided emotional and financial support to her family, from the day her daughter, Trinity, 11, was born a left leg amputee. Trinity was enrolled in the Child Amputee (CHAMP) Program shortly after she was born. Since then, she has received financial assistance for artificial limbs and attended regional seminars where she and her family meet other child amputees and their parents, sharing experiences and exchanging advice. Trinity loves to dance, ride her bike, swim and play baseball. She also has a specially designed leg for running. "Trinity is one child, but The War Amps programs help amputees across Canada. I want to thank Canadians, on behalf of Trinity, who is able to do what anyone else can – just differently – because of their support of the Key Tag Service," says mom, Arlene. The Key Tag Service was launched in 1946 so that returning war amputees could not only work for competitive wages, but also provide a service to Canadians that would generate funds for the Association's many programs. The Key Tag Service continues to employ amputees and people with disabilities and has returned more than 1.5 million sets of lost keys. Each key tag has a confidentially coded number. Should the keys be lost, the finder can call the toll-free number on the back of the tag, or deposit them in any mailbox, and the keys will be returned to the owner by bonded courier. The War Amps receives no government grants and its programs are possible through public support of the Key Tag and Address Label Service. 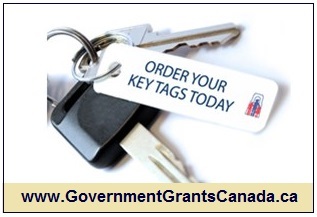 For more information, or to order key tags, call toll-free 1 800 250-3030 FREE or visit waramps.ca. For further information: or to interview a War Amps representative in your area (where available), contact Communications at 1 877 60MEDIA or email communications@waramps.ca. Stock images/key tag graphic can be found at http://www.waramps.ca/media/media-enquiries/. We believe the information contained in this article to be accurate. It is presented with the understanding that we are not engaged in rendering legal, accounting, or investment advice. When professional assistance is required, utilize the services of a licensed real estate broker, lawyer, accountant, or other consultant as may be required. P.S. Success isn't a matter of chance, it's a matter of choice. So it's up to you to make the right choice to become successful. If you don't know what to do it starts with making the choice to register for this LIVE real estate investors training in your town now at www.Flipping4Profit.ca and making sure you make the right choice to SHOW UP!!! 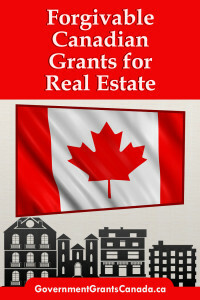 Learn more to earn more about Canadian Tax sale properties. This site is NOT Government site. It was a very informative evening and I liked the way the presenter did the presentation, in a very personal manner.